On December 2nd, we are proud to partner with UX Summit 2017, a Buenos Aires event focused on user experience, usability, and interaction design. UX Summit is an independent, non-profit meeting for the Argentina design community. Its main objective is to share knowledge and experiences among colleagues. The event will include practical workshops and talks, and will cover topics like user research, usability, information architecture, interaction design, and service design. 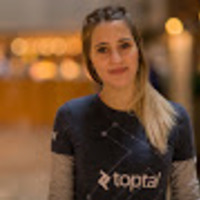 This is a great opportunity to meet designers in the area and Toptal’s core team members like Victoria Marafetti, Toptal designer and Latin America Community Lead. UX Summit takes place at Digital House. For more information, please see the event website or contact Victoria Marafetti.